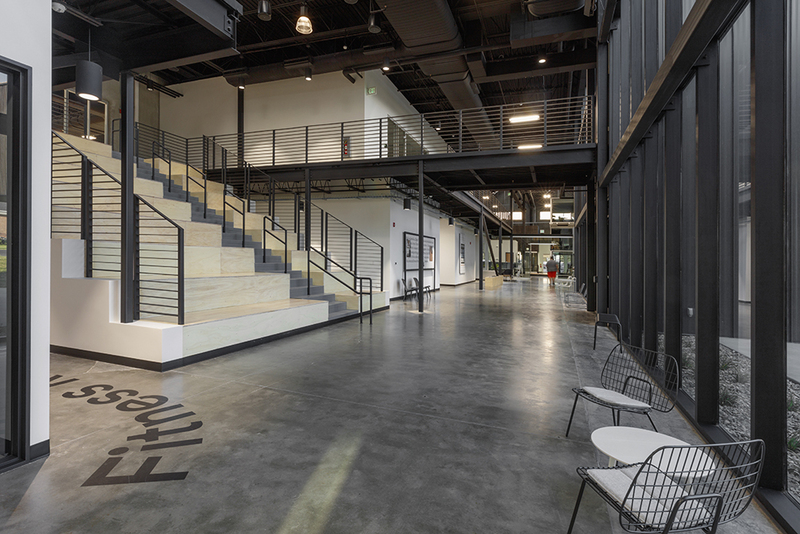 The 43,000 sf building houses up to 400 employees in a prototype facility for Vivint SmartHome. 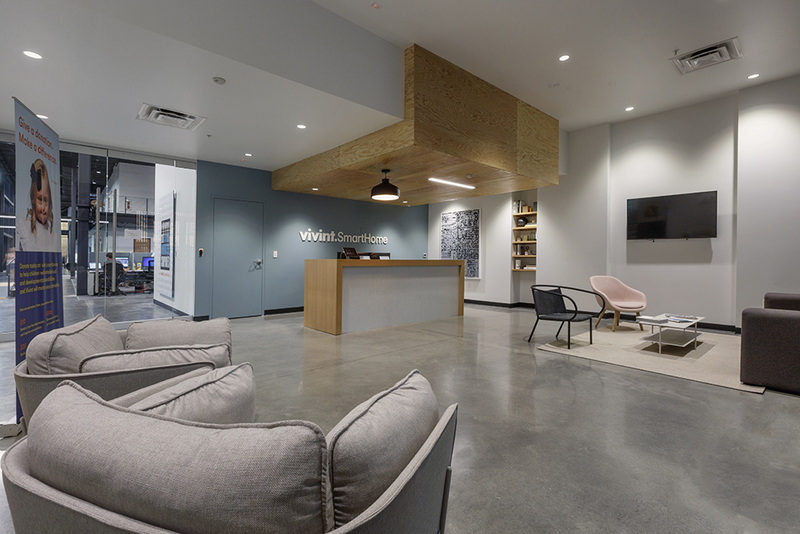 The project was a collaboration between Vivint, Utah State University, Logan City and developers. 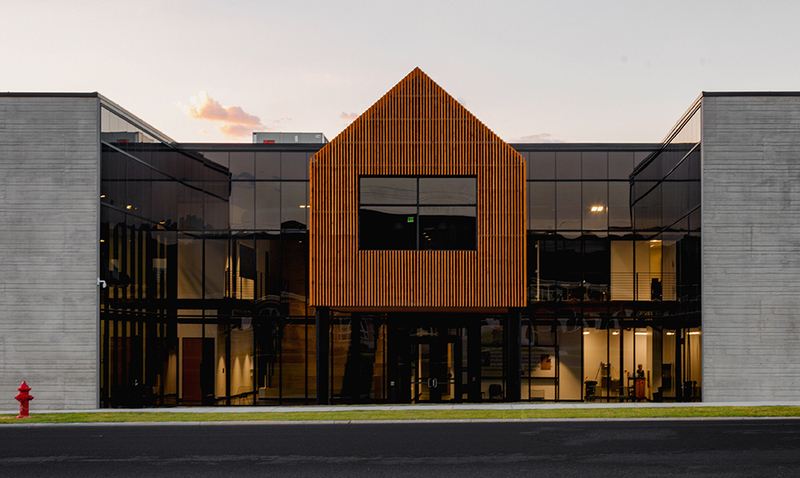 It includes a demonstration home equipped with a Vivint smart home system, a full-size basketball court, fitness center and six training rooms, including a technical training room and a hands-on product training room. 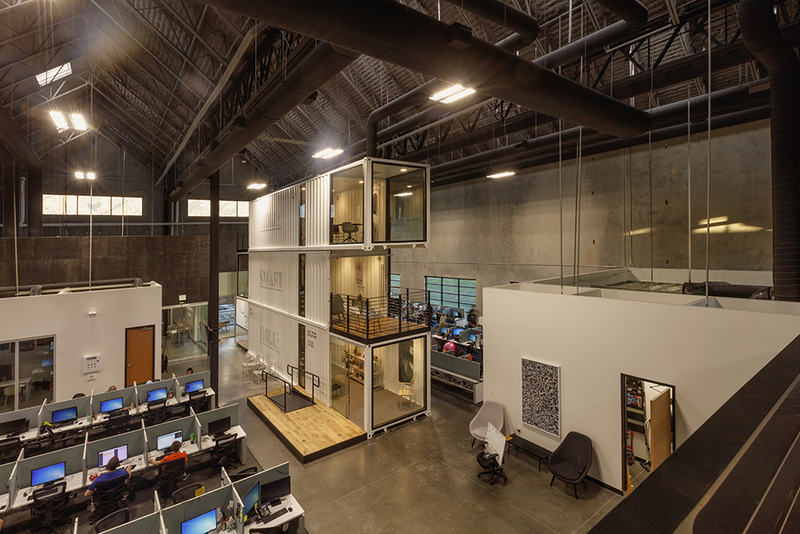 The building also features an interior, stacked shipping container structure that functions as a study hall, meeting space and observation deck. The building is constructed of concrete-tilt walls with exposed board formed concrete. In addition to concrete, the building features exterior metal cladding and an innovative sawtooth roof line. 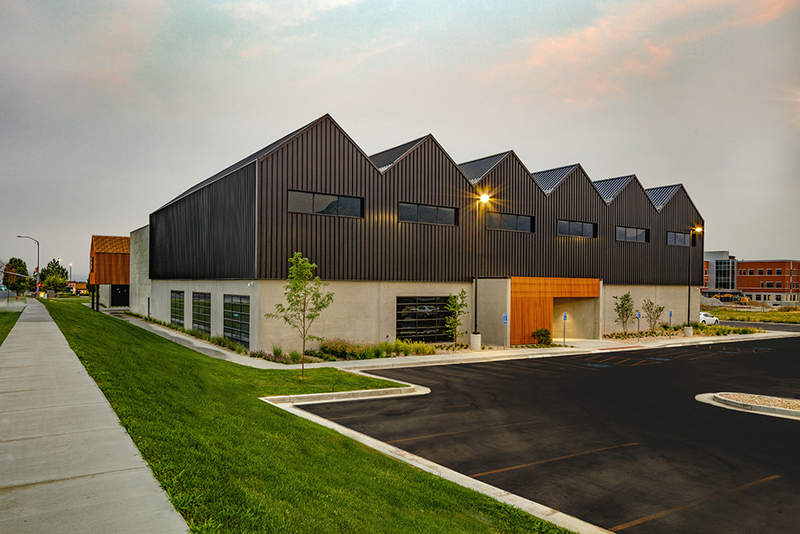 The building is used 24 hours per day, 7 days a week, so it was designed and built to be extremely durable, without sacrificing aesthetic appeal. It features like exposed structures facilitate maintenance and repairs, but also incorporates warm wood paneling and comforting colors. Vivint was completed on-schedule, despite being constructed during the harshest winter in over 30 years.